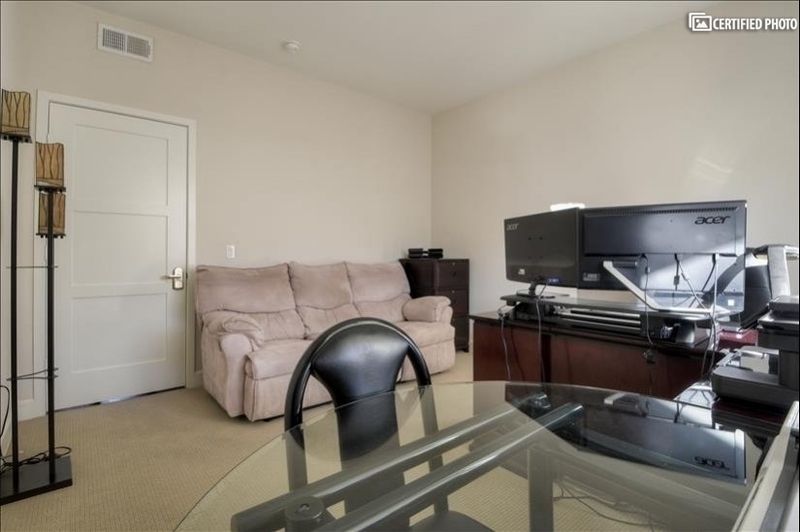 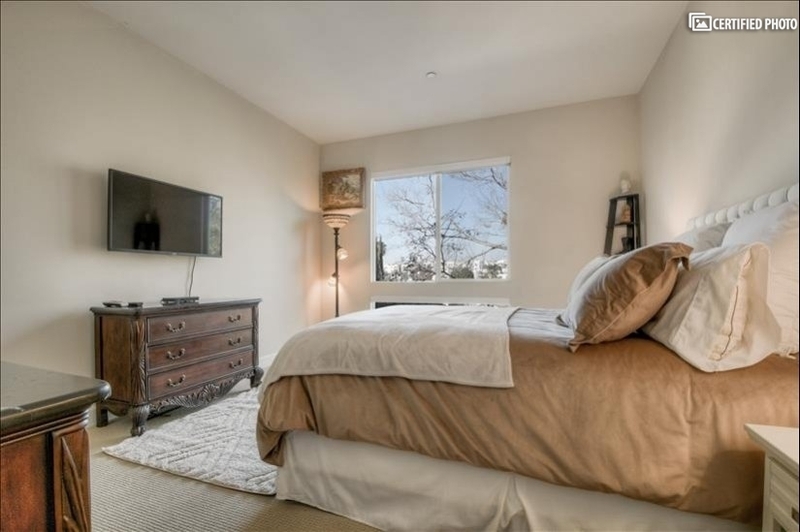 As an option, the guest bedroom with private bathroom and office can be rented separately for $3250/month. 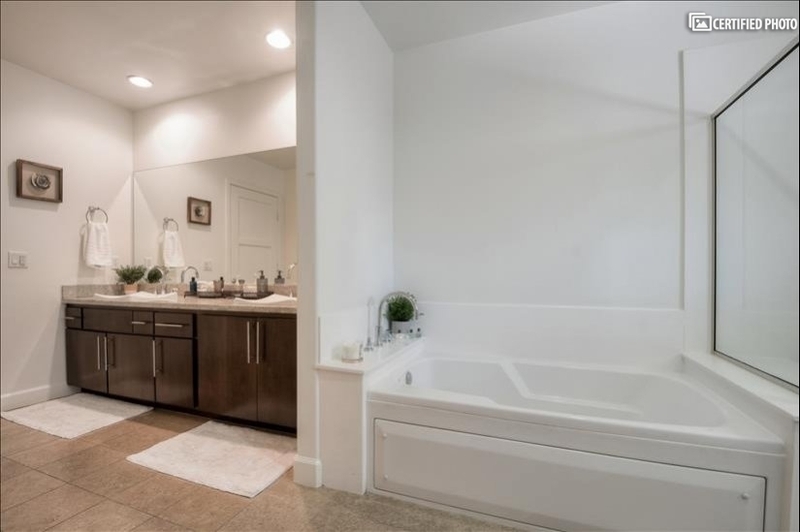 In that case, the living room and kitchen would be shared space with the owner. 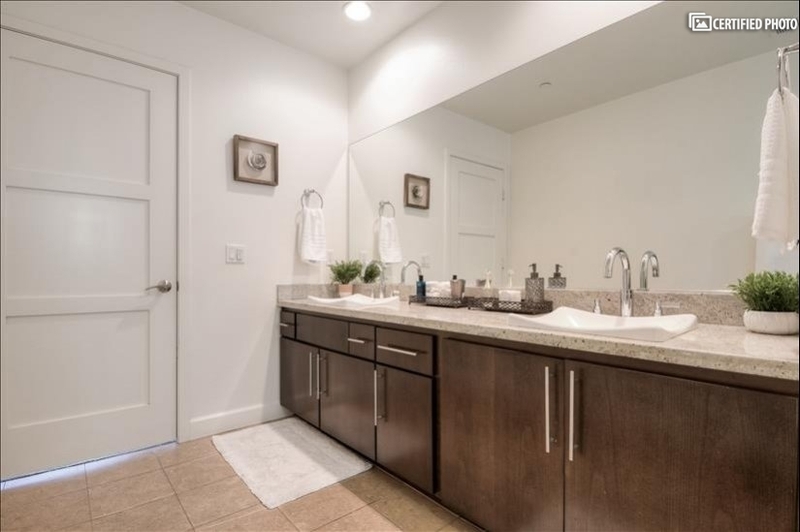 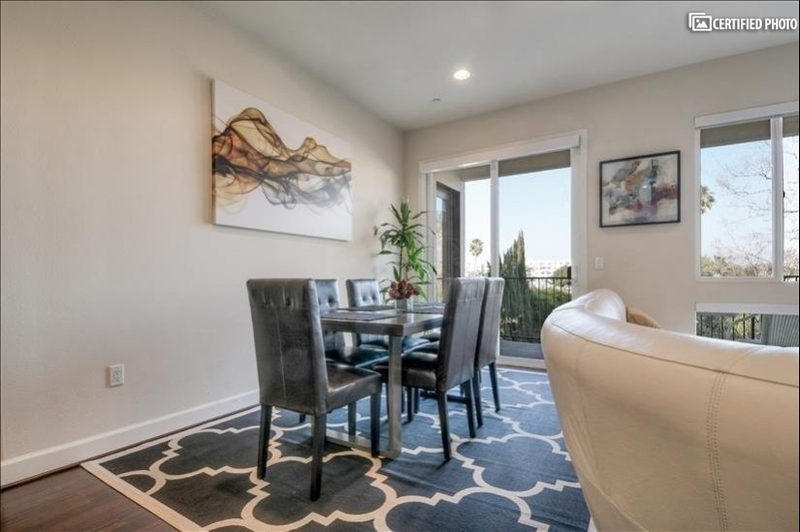 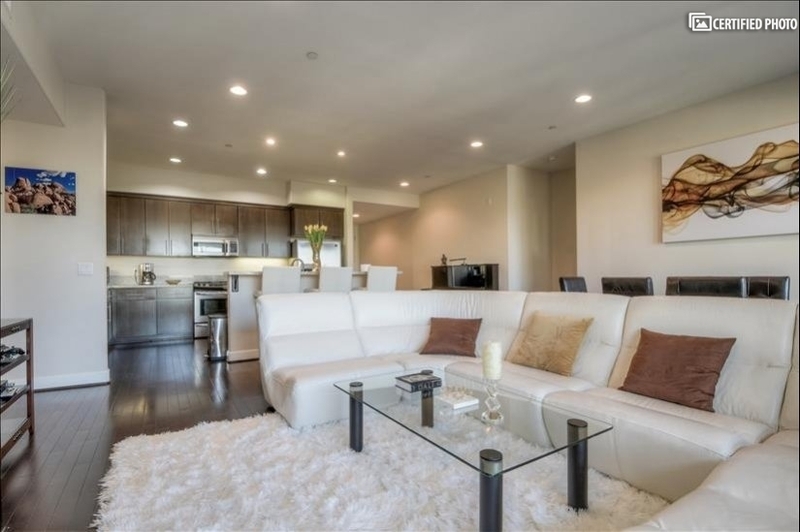 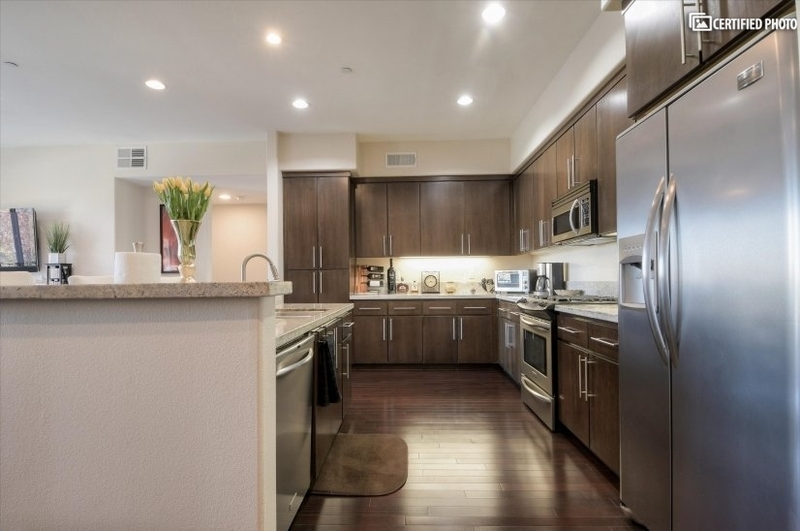 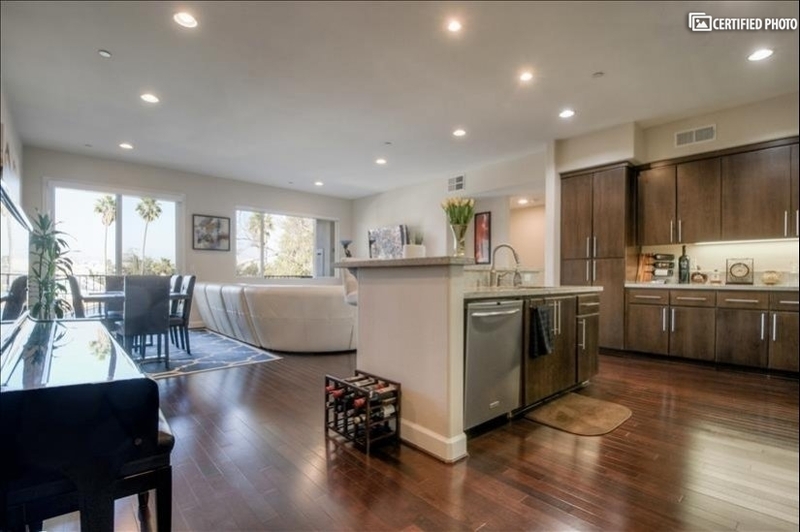 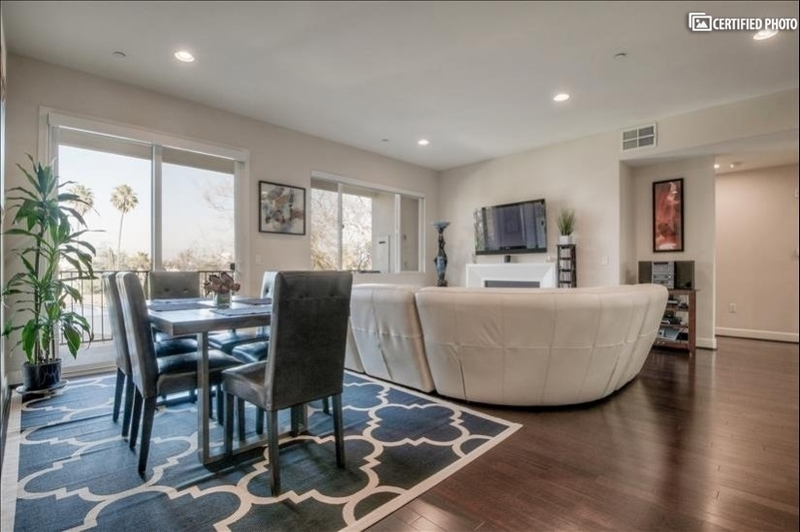 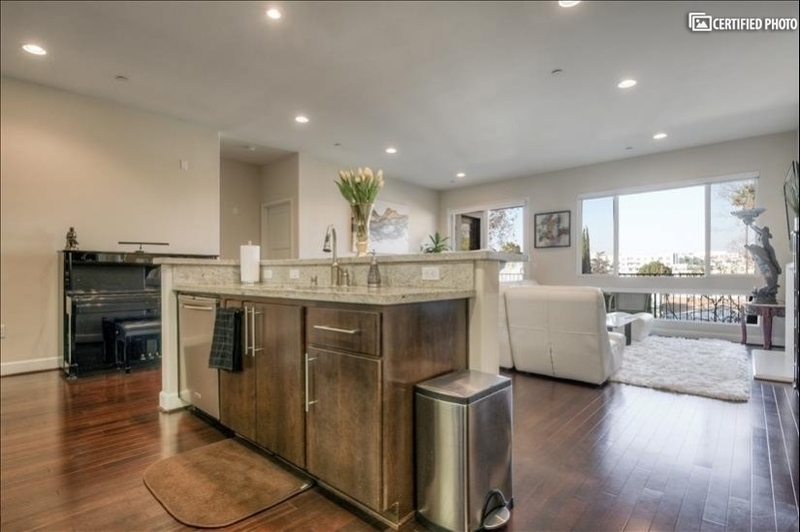 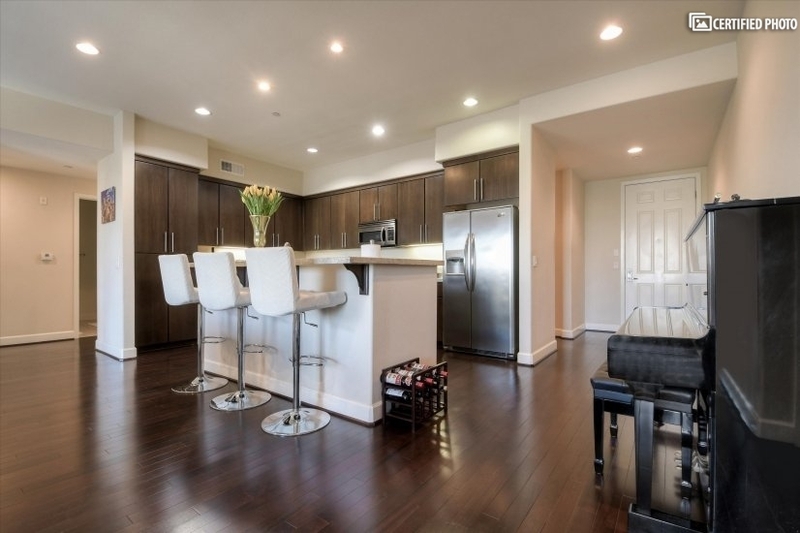 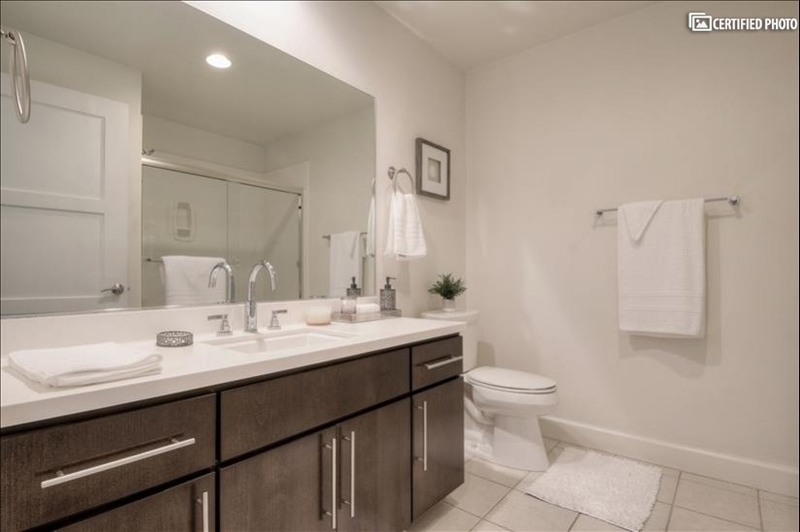 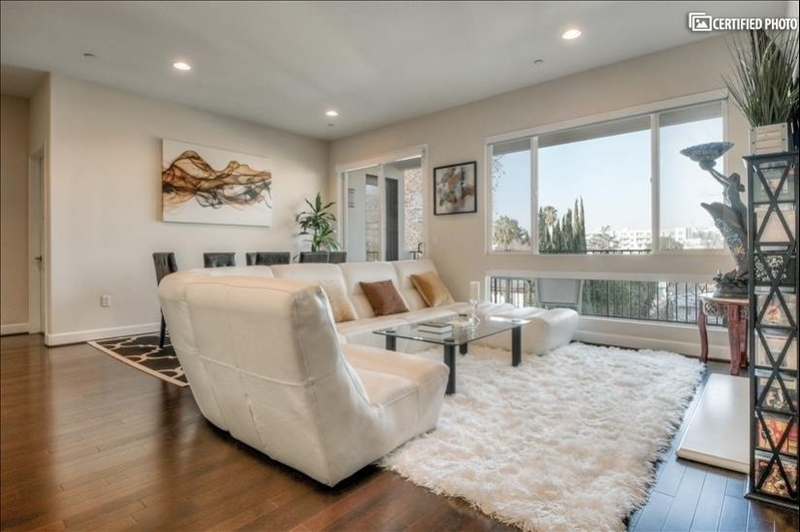 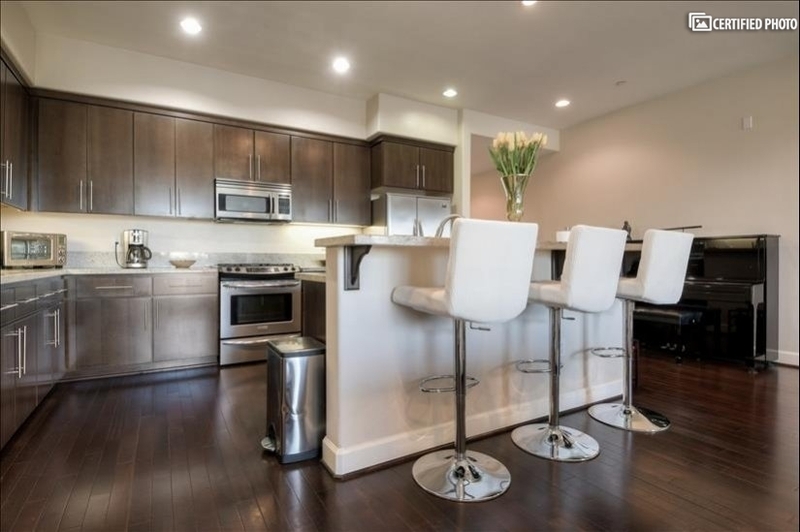 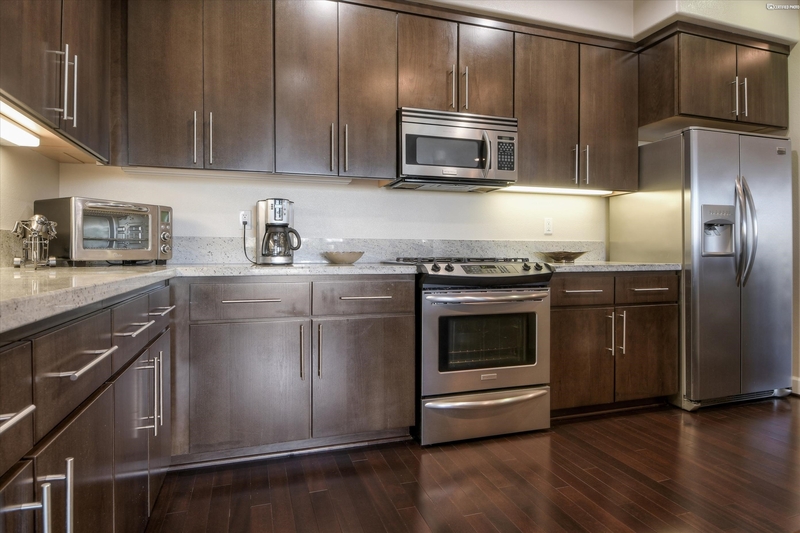 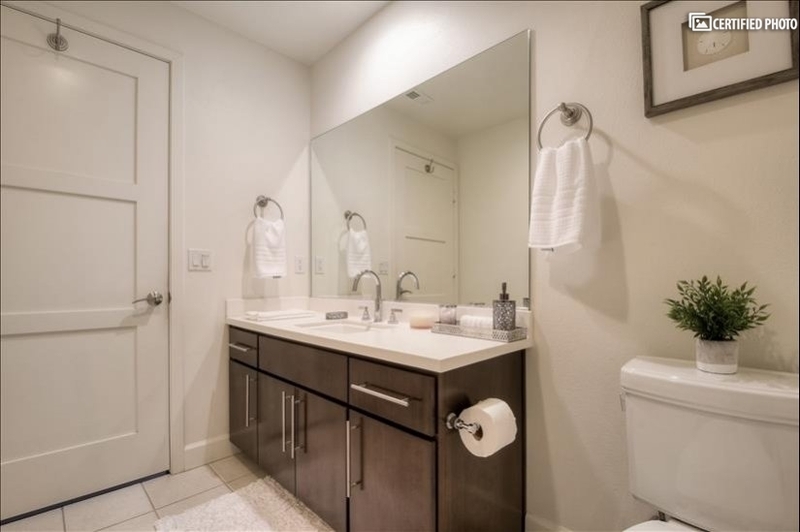 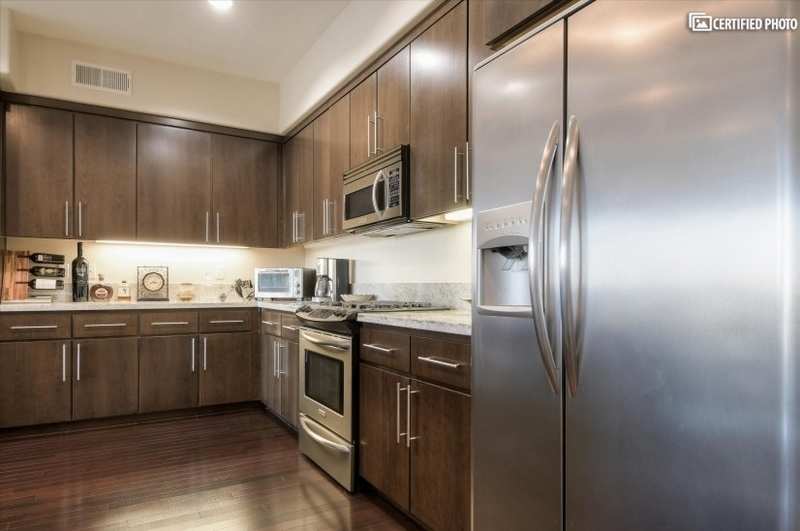 The unit is a beautiful, naturally bright 3 bedroom 2 1/2 bath penthouse in a 2010 luxury condo building. 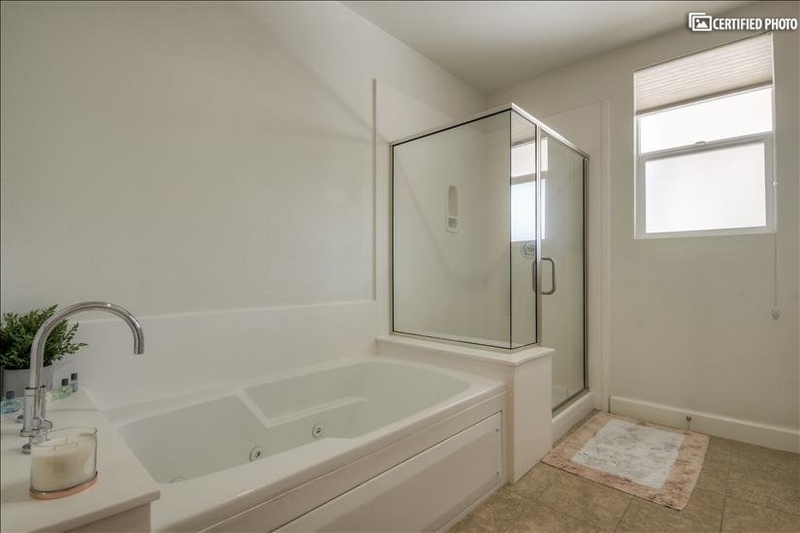 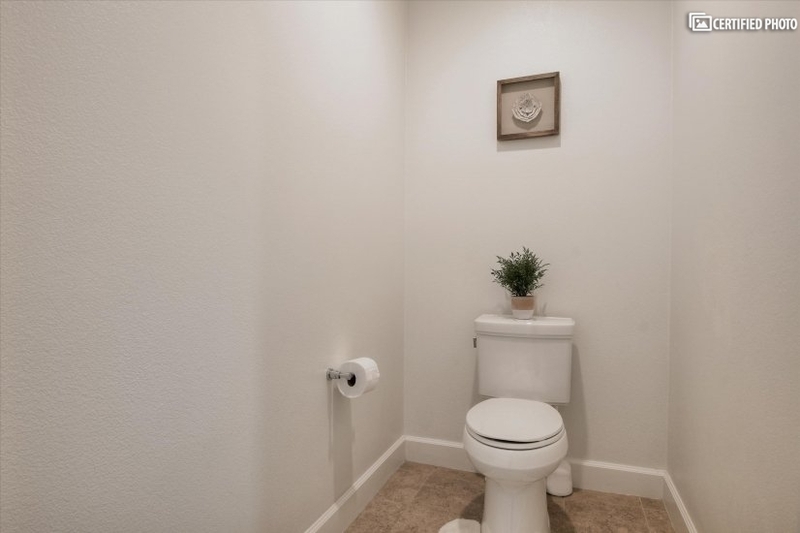 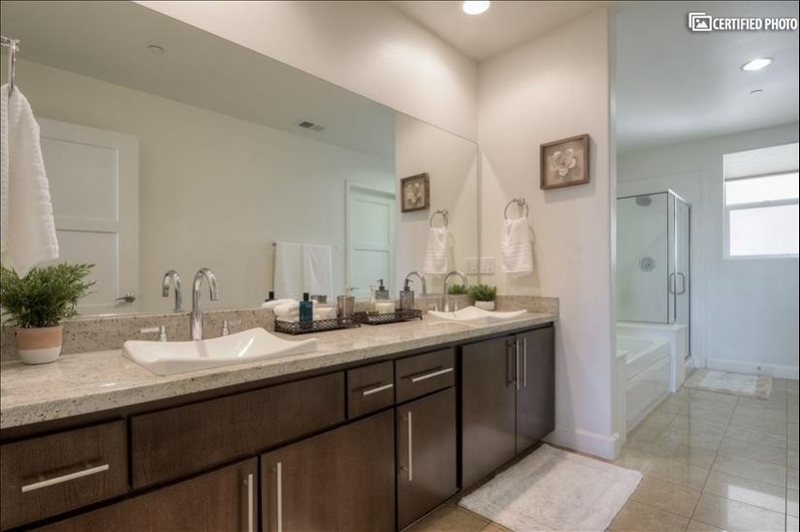 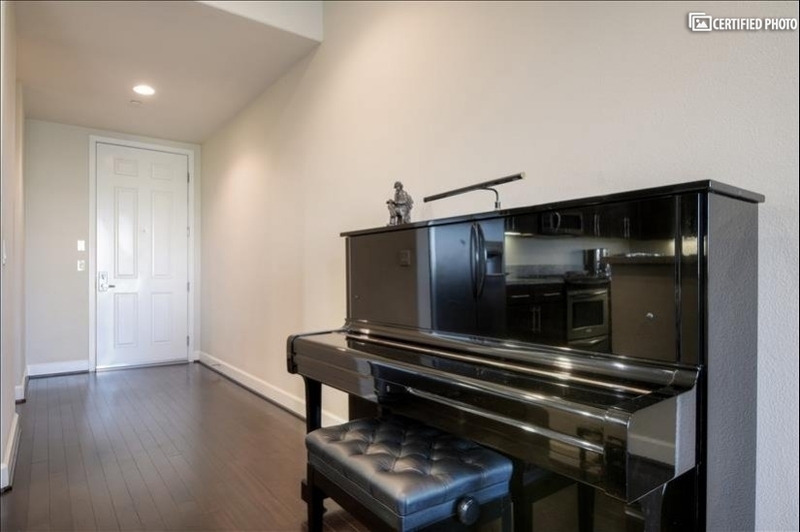 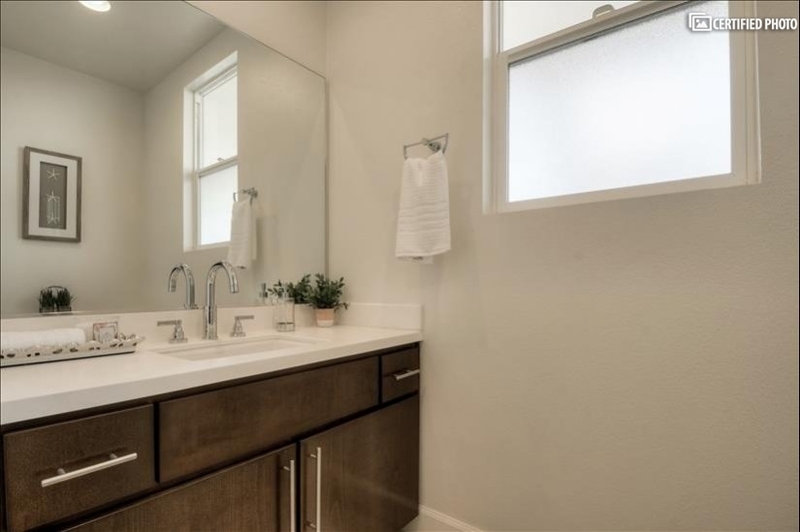 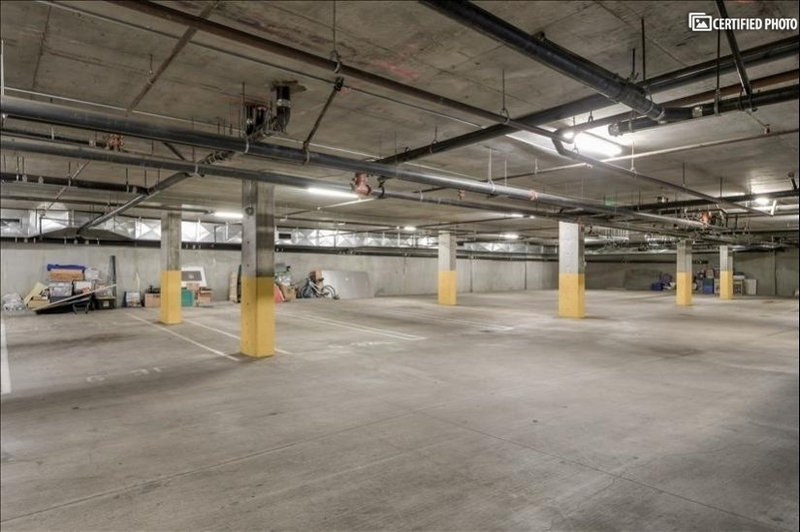 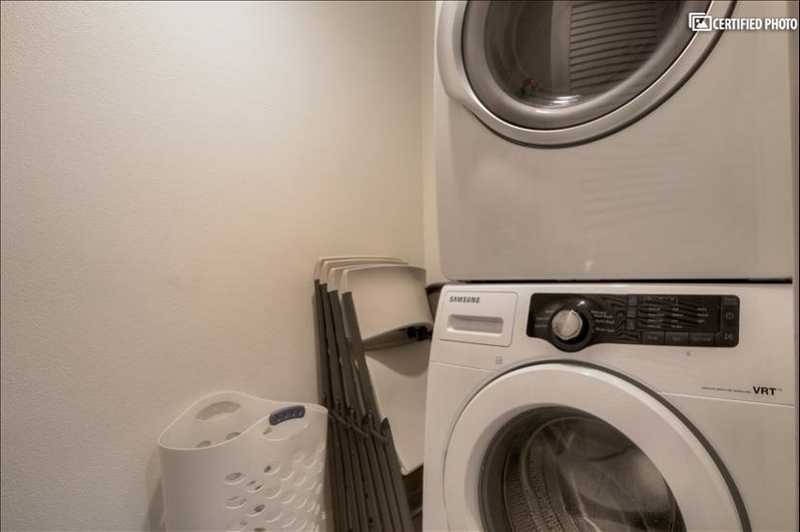 At approximately 2000 sq ft on one level, this very spacious place has a floor plan layout that is great for privacy since the bedrooms are on opposite wings. 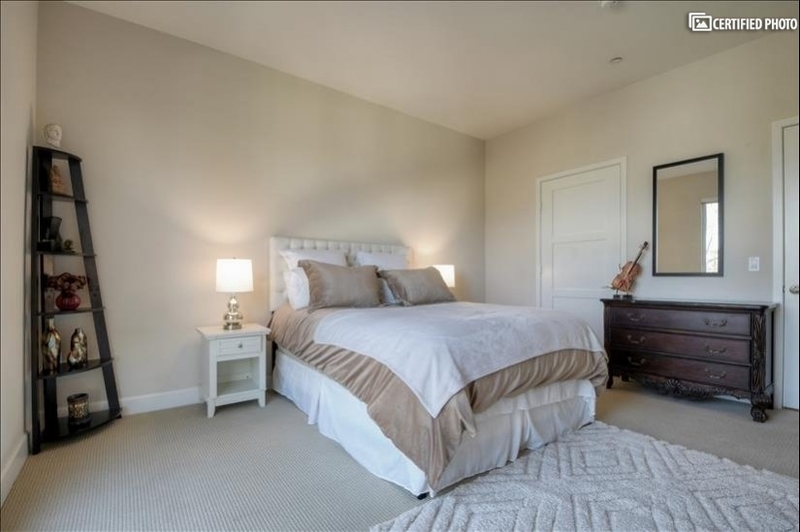 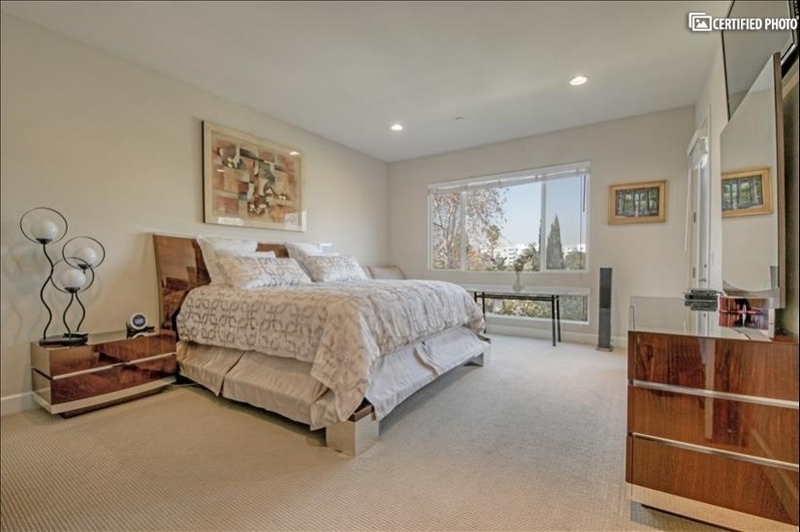 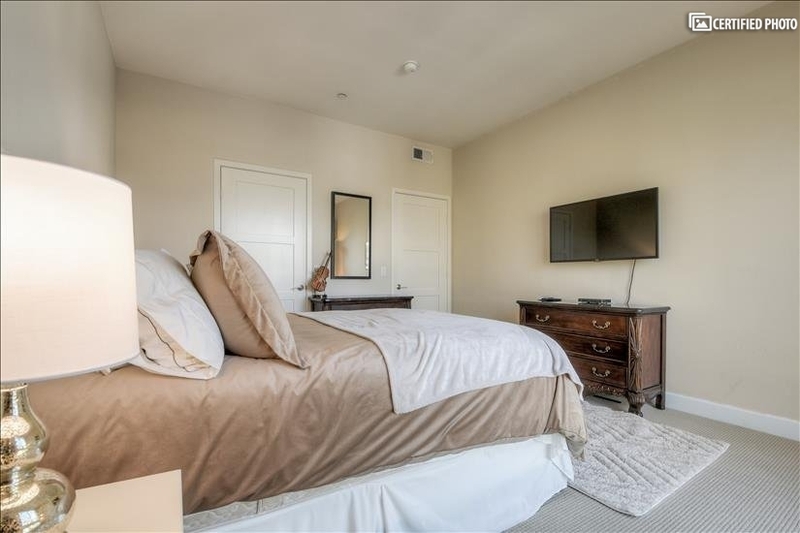 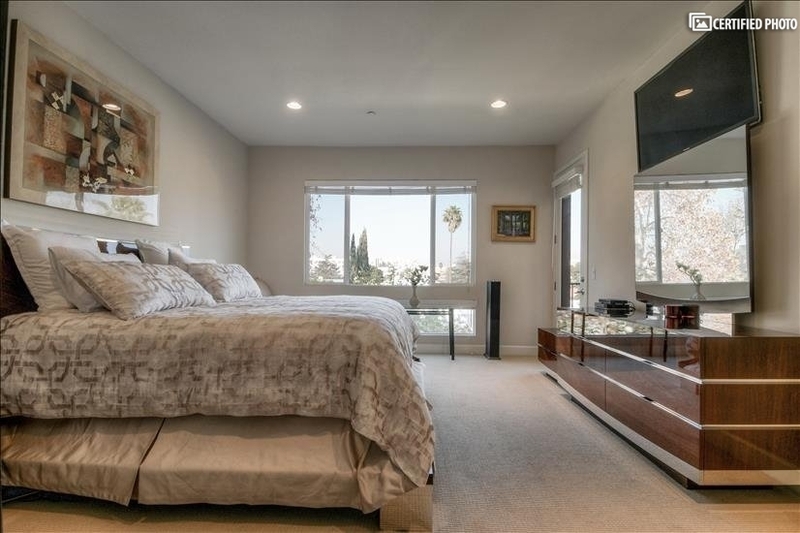 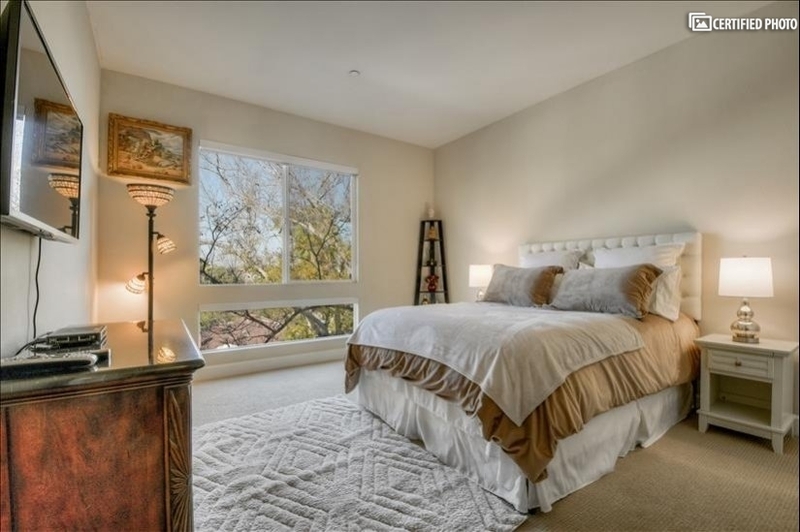 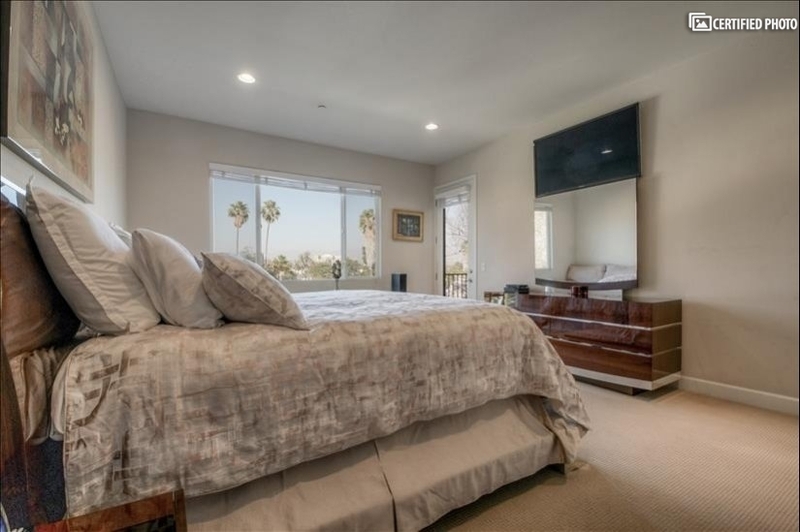 The master bedroom is quite large with an Eastern King bed and has a huge walk-in closet. 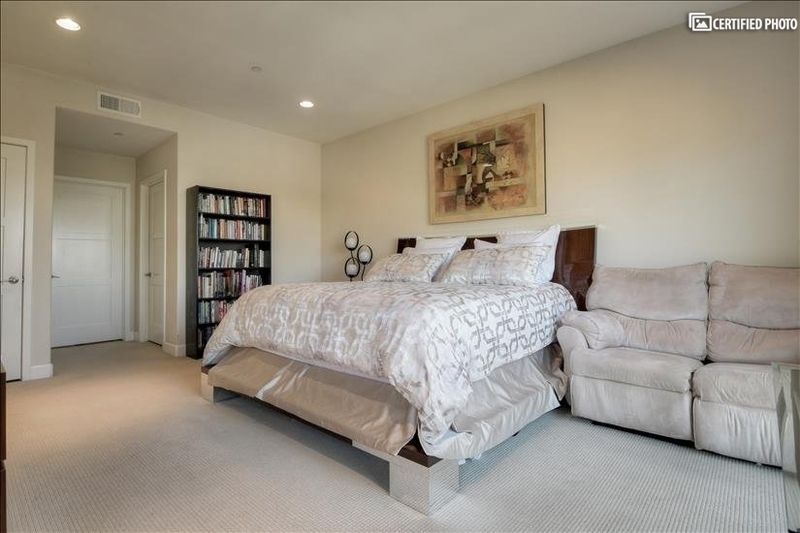 Across the living room is the guest bedroom furnished with a queen bed, and an office with a large desk down the hall. 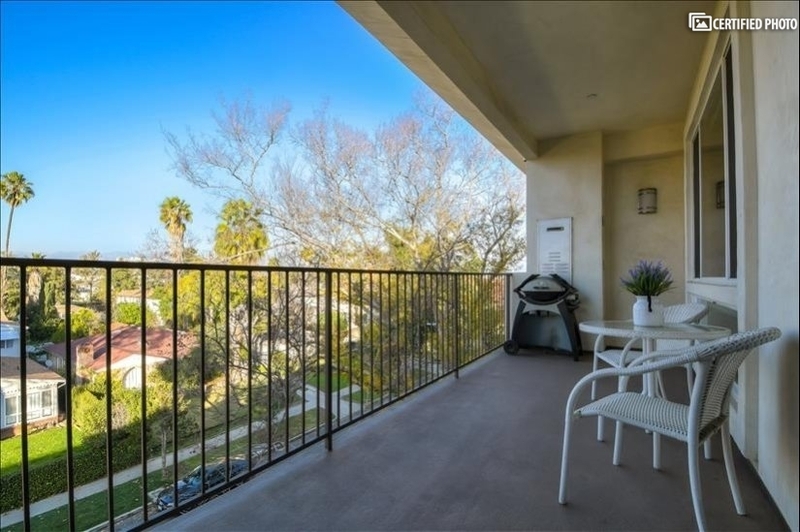 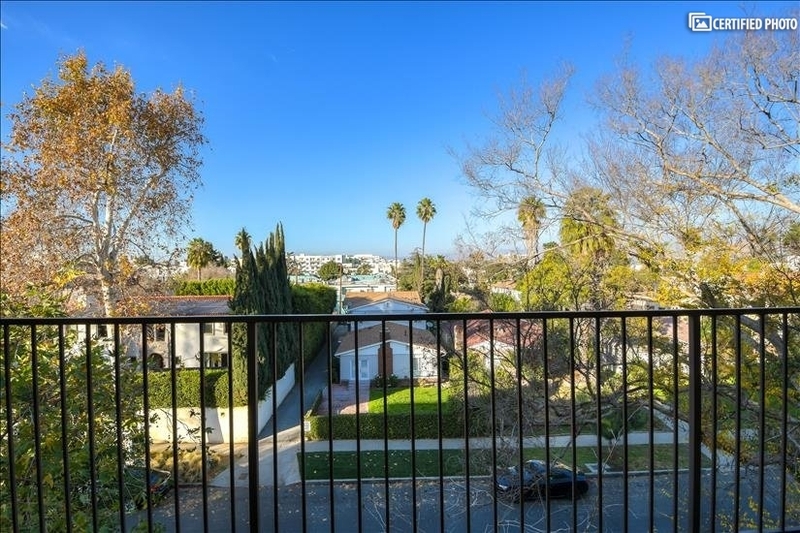 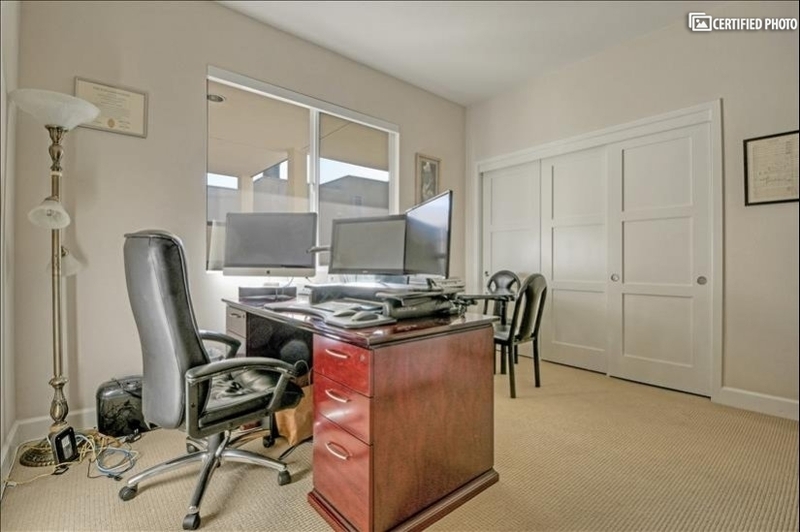 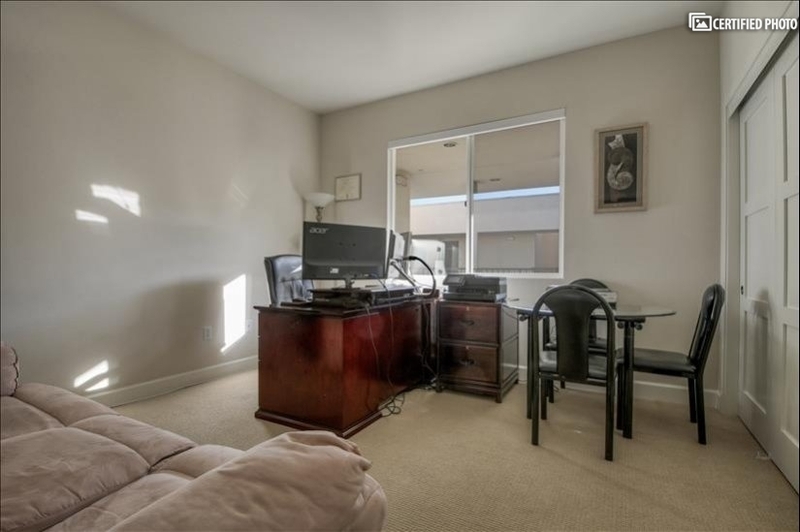 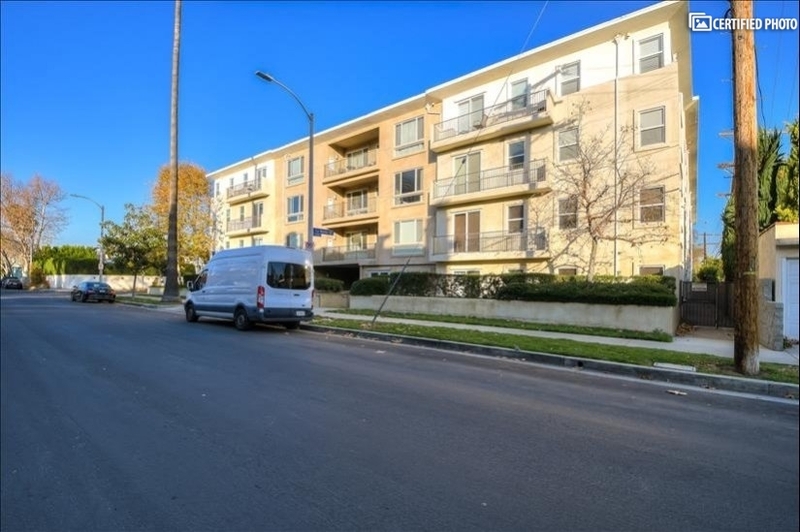 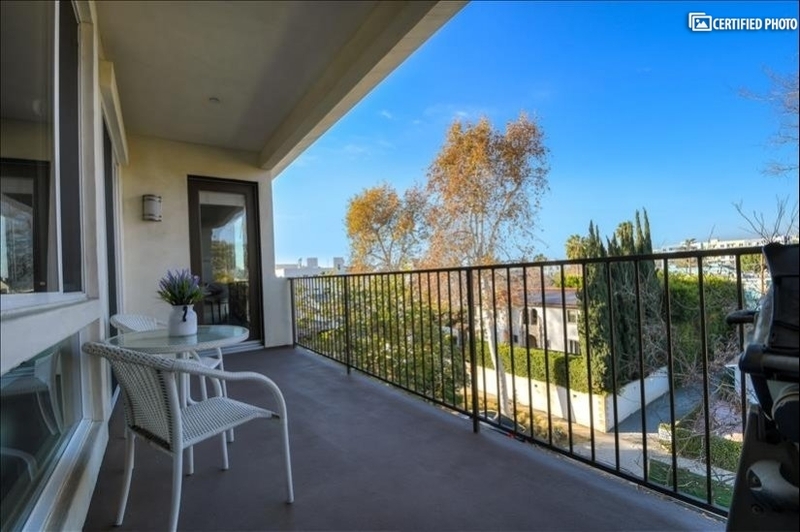 The location of the building is in a quiet tree-lined residential neighborhood, and yet it is very close to pretty much anything you are looking for. 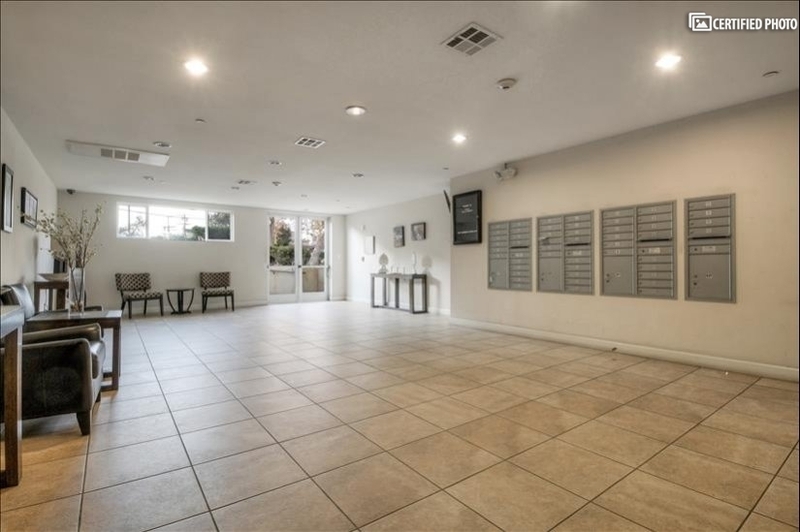 You are blocks away from a big park, the NoHo Arts District, movie theaters, the Westfield shopping mall, great restaurants, grocery stores (Ralph's, Gelson's, and Trader Joe's), several major Hollywood studios (minutes to Warner Bros., Universal, and Disney), minutes to the Burbank Airport, and have easy access to the 101 and 134 freeways as well as being close to Hollywood, Beverly Hills and the Westside.